Homeowners across Michigan who are looking for a quality material for their home flooring project may be surprised to learn that vinyl can provide durable results that are built to mimic a variety of premium flooring options. Reminiscent of the emergence of laminate flooring options in the 1990s, luxury vinyl flooring is quickly becoming a popular choice for many reasons. Luxury vinyl tile (LVT) is one style that can provide unique advantages for your unique project. 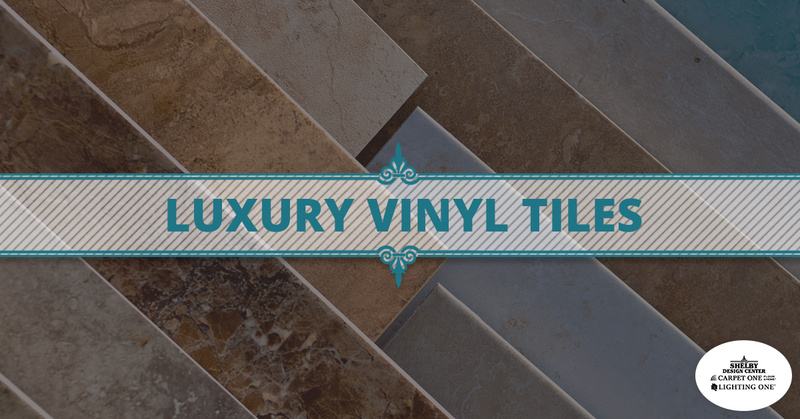 The Shelby Design Center is here to be your source for luxury vinyl tiles of all styles, relying on our expansive lighting showroom and knowledgeable staff to deliver the best flooring store experience in Shelby Charter Township for more than 20 years. By combining with Lighting One™ and Carpet One® co-ops, we can deliver the widest variety of vinyl flooring options at affordable prices. Base layer. Also known as a tile backing, this piece is comprised of fiberglass or vinyl and plasticisers and helps to provide support for the entire tile and protection from the subfloor. The print layer. On this rigid backing comes the paper print-film that provides the color and visual texture you’ve been looking for. The wear layer. The core of your vinyl tile, this component is comprised of recycled or virgin PVC materials to provide the performance you’ve come to expect from Shelby Design Center products. The vinyl here is clear to allow the print layer to show through. Your vinyl layer will also provide the most support and long-term protection for your luxury vinyl flooring. Realistic textures can be added to this layer for a realistic feel. Protective coating. A coat of clear urethane is often applied to the finish of your luxury vinyl tiles to provide additional protection from scratches and impacts. You can also find the sheen you are looking for based on this layer. When installed correctly, vinyl flooring delivers superior performance that is hard to match. 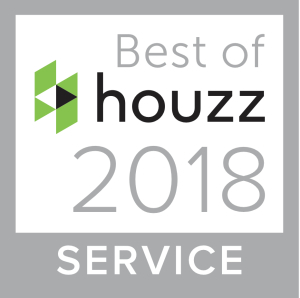 If you need help determining the best material for your home, be sure to speak with one of our flooring consultants for quality guidance through every step of the renovation process. There is a lot of confusion in the industry for consumers when it comes to the differences of vinyl flooring between luxury vinyl tiles and planks. The best answer is the simplest one — the shape. The performance of your luxury vinyl will not vary based on its dimensions. Whereas luxury vinyl planks are designed to mimic hardwood flooring applications, LVTs are designed to better mimic non-grain materials such as marble, slate, limestone, and more. While not as authentic as the originals, your vinyl tiles can provide other benefits, including impact resistance. You can avoid chips and cracks in your flooring when you go with vinyl instead of travertine or ceramic. Luxury vinyl tiles are also useful for creating stunning abstract patterns and designs. Planks are ideal for capturing the character of hardwood, yet tiles work to create customized appearances that can be hard to match. You can select from a wide range of finishes and textures to create a perfect match for your unique space. This can be useful for residential applications as well as commercial uses. Tiles can be replaced individually when damages occur to keep your space beautiful day in and day out. Contact us today to learn more or fill out our form below for assistance!